he has pasted in an outline of a long shaft Tohatsu into an accurate scale of the back end of a Centaur – looks pretty good to me. In fact, the way everything is falling into place anyone might have thought that old Jack Laurent Giles made the dimensions to fit just right. So – I think we have the shape for the bulkhead and clamp lip sorted. Just to to remind you here is the well and cockpit more or less to scale – and yes it is wider than it is long – see previous posts for why. the clamp lip is the final barrier before water hits the cockpit. It is eight inches abover the waterline – the same as an Achilles 24. I am not bothered about water slopping around the cockpit behind the clamp as that is all part of the well. I am thinking of bolting the well sides firmly to the stout cockpit floor so that there is no lip. Bolts will be passed through the hardwood (yes hardwood chaps) 4cm x 4cm joining sections vertically into the cockpit floor and horizontally into the 18mm side of the well. I will then get the man from Wessex resins to put epoxy and cloth right around the lip. I am not bothered about the way it looks – I want it to be well stuck together. Then I will make a removale U shaped collar which will just slot into place around the engine – made of ply and the 4cm x 4cm joiners. It will just drop into place when it is needed. I would expect that most of the time it would not be needed. does this make sense. I think that the achilles well is the best pattern so far. Similar size boat, similar depth of well. I may have missed an earlier drawing. Will you route the cockpit drains directly into the well? Thank you. I had thought there might be some benefit in taking the short route from the cockpit drains into th e well but I suspect you are right to leave them as they are. 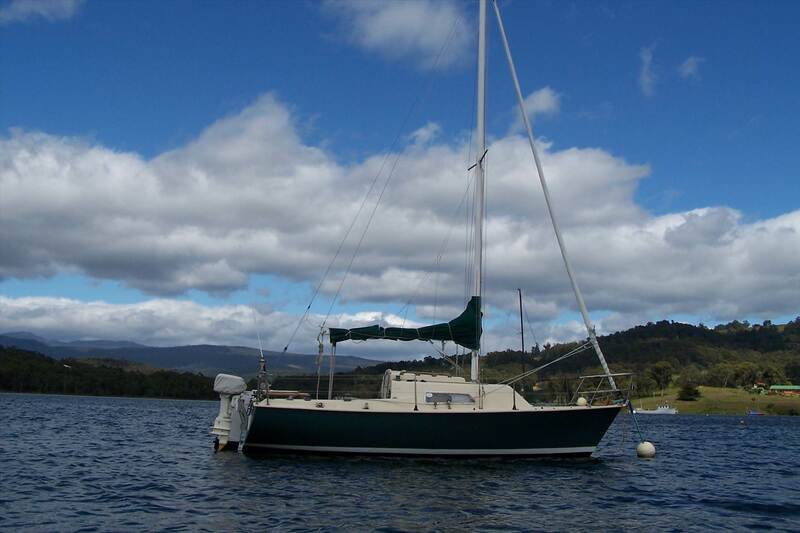 Gday,Dylan I have a Tohatsu 9.9 two stroke two on my 6m Spacesailer on OZ two things to bare in mind is back pressure if the out board is to lower in the water with mine dropped down very low, not as low as you have in your drawing it it misfires a bit due to back pressure exhaust gas not clearing the chambers. The outher more worriny aspect is the engine being being very low to the water line in the drawing even if you close off the well around the outboard the water pressure of a following sea might flood the bottom cylinder. 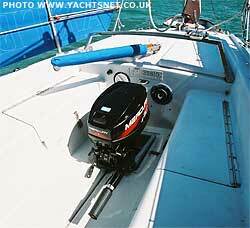 So you might think about being able to raise the outboard up a bit whilst underway. when you get this problem how deep is the engine?